The issue of academic freedom is certainly an important one. As Peter Ridd explains in a YouTube video launched today, universities are now run by administrators who take an increasingly conformist and corporatist approach. As the new video explains, Peter Ridd has spent his whole career studying the reef. He began with the Marine Geophysical Laboratory in 1989. During the 1990s his colleagues, Piers Larcombe and Ken Woolfe, published several seminal papers concluding that the south-easterly trade winds, which blow for about nine months of the year, have a dominant influence on the muddiness of reef waters. The wind and resulting waves produce a current that flows northward. This current traps sediments in north-facing bays and prevents it from reaching the middle and outer reefs. Importantly, this research established that the amount of sediment in the water – its turbidity – is controlled by the size of the waves, not the volume of sediment. This fact means that any additional sediment coming down the rivers will have no effect on the muddiness of the waters of the Great Barrier Reef. Yet key research institutions have promoted the notion that sediment from farming and mining is damaging the Great Barrier Reef. In particular, a series of photographs have been promoted falsely suggesting that the coral reefs off Stone Island have been destroyed by this sediment. Peter Ridd took photographs of the same area showing spectacular healthy corals, and sent these photographs to News Ltd journalist Peter Michael. Rather than investigate, journalist Peter Michael sent the photographs showing healthy corals and Peter’s correspondence back to the very researcher promoting the fake news. That correspondence was subsequently passed immediately to the University management, and then used to censor Peter Ridd. He was sacked after being censored a second time. Seeing is believing. Yet the truth in the photographs was ignored, while a process begun by the university that would eventually lead to Peter Ridd’s sacking. The photographs are but anecdotal evidence. Of course, a true scientist undertakes proper studies, and has them published in the best scientific journals. Peter Ridd has over 100 such technical papers published in scientific journals, including a key rebuttal published in Marine Geology (volume 346, pages 392-399). This paper clearly documents and explains methodological flaws in research that purport to show reduced coral calcification rates. In short, Peter Ridd has had the courage to put the alternative perspective with specific and compelling examples to journalists at mainstream newspapers, and also to editors of key scientific journals. So far it would appear he has been most damaged by the journalists and administrators, while the scientific community has published his findings. Next week, the Federal Court may be somewhat constrained by legal argument, but there is no reason why this case cannot begin a more general public discussion about the real state of the Great Barrier Reef. It is time the journalists stepped-up, and considered the evidence pertaining to the fundamental truths in this matter. Peter Ridd’s correspondence to journalist Peter Michael will be tabled for all to see, and for all to judge. There is no need of scientific qualifications to see that contrary to the claims of the Great Barrier Reef Marine Park Authority and ARC Centre of Excellence for Coral Reef Studies there is still spectacular fringing coral reef off Stone Island. Considering such truths will require some to openly question their long-held prejudices. Acknowledging such truths will require citizens to question publicly-funded science, and to consider the exceptional resilience of natural ecosystems – particularly the Great Barrier Reef. Realistically this must begin with journalists, and their editors and/or producers, prepared to push the boundaries of what politicians and university administrators have over decades determined through constant negotiation to be acceptable – which has nothing to do with the truth. As Carl Jung famously wrote: One does not become enlightened by imagining figures of light, but by making the darkness conscious. Peter Ridd has had the courage to confront his colleagues and the institutions with the truth. The legal proceedings begin in the Federal Circuit Court in Brisbane on 26th March 2019. I hope to see you there. Hoping that the proceedings will be fair and that Peter is eventually vindicated. School children striking for the climate last week were doing so in part because they were told that half the reef was dead because politicians were not doing enough! We need scientists that are prepared to tell our future generation and their teachers what the scientific evidence is without bias or personal opinion. Well done Jennifer and the best of luck Peter. If the issues are strictly legal and alarmism does not intrude I am confident Peter will win. We’ll all be cheering you on next week Peter. Your prominence in this pivotal stand for integrity in science comes at a time when the truth based on empirical evidence needs to be heard throughout the land. If this corporate bullying in academe can be exposed it may give courage to others in the scientific area to do the same. Thank you. Peter MUST win his case because if he fails then academic freedom as such in this country will be totally stifled. Do we really want to be forever buried in groupthink ?? I admire Peter Ridd for his courage to confront the powerful “group-think” consensus scientific community with their most unwelcomed experimental observations to the contrary. University tenure is granted to protect that most basic right of faculty members. The second is he needs a damn good lawyer. ? Thirdly he wins a sues the hell out of the uni. Peter is a person who has the courage of his convictions. I wish him every success. With you all the way Peter. The truth must win out although we know there is a huge business(research funding) for JCU and others feeding off the untruths. Global Warming is Political not actual, its Marxist wrecking the western world economies with more than double priced electricity, its the GREEN hammer & sickle you are fighting & you fighting for scientific truth, good luck. 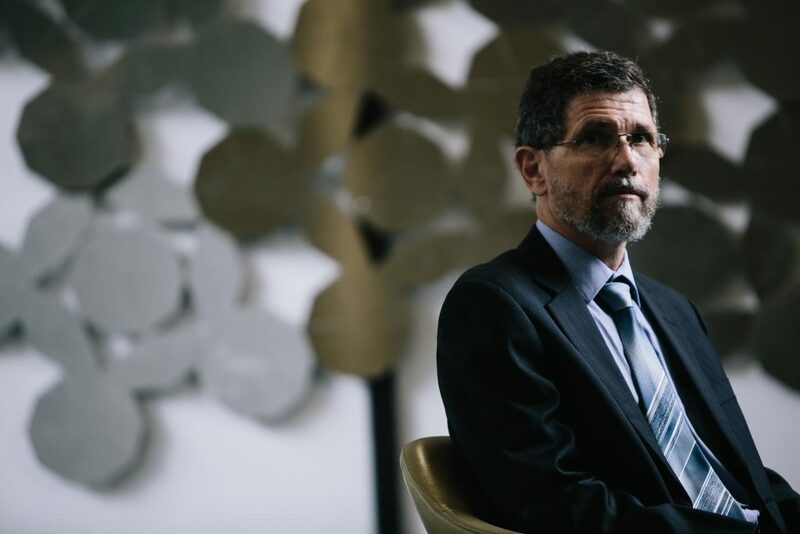 From the JCU administration’s point of view, what Peter Ridd did was unforgivable: he threatened funding. Never stand between a University and a bucket of money. Hughes doesn’t do well in the morality stakes. He convened the 12th International Coral Reef Symposium in Cairns in 2012. Beforehand, he travelled to Stanford in the USA where they agreed a consensus statement. Among other things, the ICRS website published a list of almost 2,500 endorsees of the consensus dated 6/July/2012 that being three days before the five-day symposium started. It is amazing that our local university here in Cairns, James Cook University, is tarnishing the appeal and desirability of visiting our main tourist attraction. Well done JCU. You got your 20 pieces of silver. Enjoy it while it lasts! Possibly the outcome of this case may have some bearing, although it is seemingly in this case about political opinion, Peter Ridd’s sacking is more about politics than genuine policy. According to some of the article, the judgement may define how much an employer can gag an employee. The corruption of science and the rise of superstition began in earnest with the Gladstone Harbour Western Basin Dredging project. The consequent use of false science paid for by the then Labor government was purely designed to cover their collective butts over Australia’s biggest ever man made marine disaster. This is the event that woke up UNESCO and every bit of legislation from veg management to new reef protections has been the result of a runaway train that continues to create scientific hypothesis which is then promoted as fact. When approached to look at the validity of the science in the Gladstone case the Queensland Ombudsman could not drop the ball fast enough stating they simply did not have the resources to look at science, which I guess means they can not read. Best of LUCK Peter, you are not alone.